Joseph "Coach JV" Swann was born and raised in Jacksonville, NC. He has a deep passion for helping people who face challenges that appear to be overwhelming. After becoming Life Coach Certified in 2011, he created the Core Value Enrichment Coaching initiative and published a coaching manual bearing the same name. This initiative was designed to help individuals truly understand their value and self-worth in every aspect of their lives. And no, he's not an "expert" nor a "cure all". But, he does earnestly strive to bridge the gap between current realities and future possibilities. 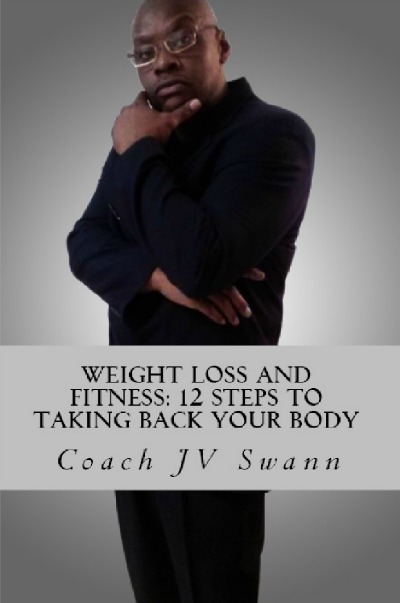 His latest venture is the book, "Weight Loss and Fitness: 12 Steps To Taking Back Your Body". This labor of love was ignited by his own personal plight with years of nutritional neglect, the absence of physical fitness, and poor stress management. His blood pressure was at stroke level, his weight was out of control, and his metabolism was nowhere to be found. At the age of 41, the doctor told him that his heart was only going to beat so many more times until it stopped. He had a desire to help others, but didn't seem to have the discipline to help himself. Coach JV realized that he had to make some serious changes if he expected to live a longer and more fruitful life. Now, as a Certified Personal Trainer, he shares these twelve (12) basic, yet powerful steps in this book to promote better health habits, nutritional value and physical activity. This, in turn will usher in a lifestyle primed to attain and maintain desired weight loss, fitness goals, and overall health and wellness. This book contains practical and powerful principles that helped Coach JV Take Back His Body. If followed, it will do the same for its readers.